The List might have changed due to potential sales not materializing !!! 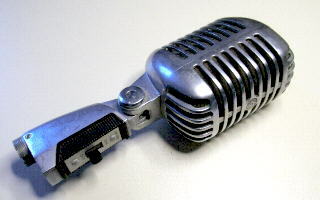 An old Crystal microphone designed for "Valve" type PA or Tape Recorder. Fully tested and in fair condition for age. 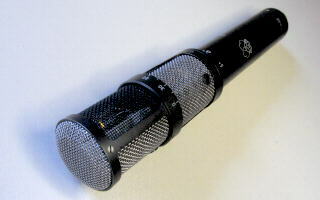 This microphone was part of Trident studios collection. It was most probably used by "The Beatles" during the making of the "Abbey Road" album. With tracks being recorded at both Abbey Road & Trident studios. All part of the infamous "Apple" record label. Following on from the C12, the C12A still features the Brass C12 capsule. Using a 7586 Nuvistor type valve as the impedance converter. The "Polar Pattern" and "Bass Roll-off" are remotely controlled from the associated power supply unit. Complete with the N12A power supply unit and associated stand mount connector/lead. Fully tested and in used condition. Following on from the C12. 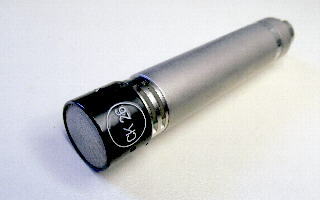 The C12B is fitted with the AKG 2072 Z 0009 Teflon capsule, as used in the C12VR microphone. Using a 7586 Nuvistor type valve as the impedance converter. Complete with the N12B power supply unit and associated stand mount connector/lead. Fully tested and in good condition. Similar to two C12's in one neat case (Read more). An early example featuring original Brass CK12 capsules working into the 6072 valve, which in turn drives the T14/1 output matching transformers. The "Polar Patterns" are remotely controlled from the associated control box. Absolutely superb for the purest Stereo XY or Middle & Side recording techniques. Complete with AKG power supply unit, remote control box and cables. Fully tested and in very good condition. Complete kit supplied in Ex-military wooden transport box. 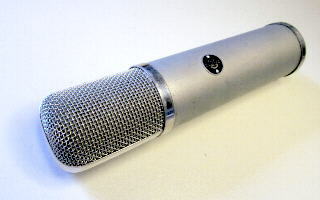 A Classic versatile valve microphone from the late 60's through to the mid' 70's. Often seen on old BBC footage. Based around the 7586 Nuvistor type valve and small diaphragm Cardioid capsule. 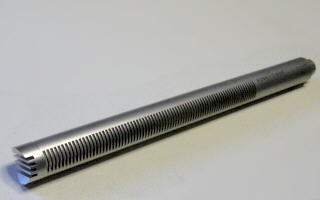 Full dry solid sound, with an excellent tinselly top end, being very popular by many engineers. Complete with N61A power supply unit and associated connector/lead. Complete with the N28A power supply unit and associated connector/lead. Supplied in AKG wooden box. 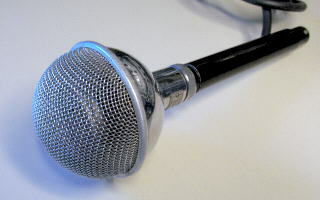 A very underrated and less well known microphone. 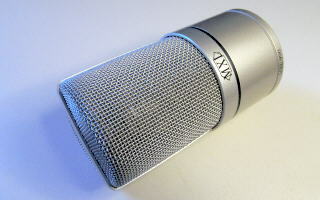 Based around the excellent AC701 valve and the original, sought after, AKG CK26 Omni capsule. 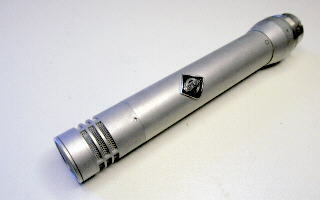 Superb for solo instrument recording, A small microphone due to the matching transformer being in the associated power supply unit. Complete with the N60A power supply unit and associated connector/lead. 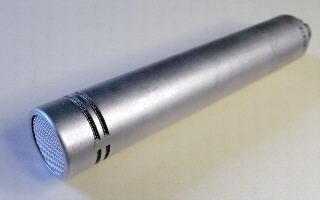 A very underrated and less well known microphone. Based around the excellent AC701 valve and the original, sought after, AKG CK28 Cardioid capsule. Superb for solo instrument recording, A small microphone due to the matching transformer being in the associated power supply unit. 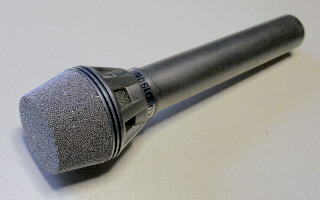 A very underrated and less well known microphone. 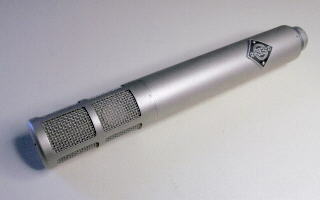 Each microphone is based around the excellent AC701 valve and the original, sought after, AKG CK28 Cardioid capsule. Superb when used as a pair for Stereo pickup or used separately for solo instrument recording. 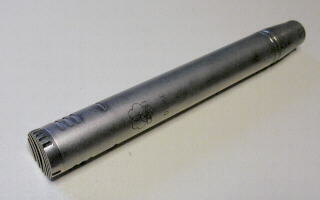 The C60 is a small microphone due to the matching transformer being in the associated power supply unit. Complete with associated leads and a twin or single use Schoeps power supply unit, this power supply is designed around two AKG N60A mounted in one case. Very underrated and superb for solo instrument recording Using a 7586 Nuvistor type valve for the impedance electronics. 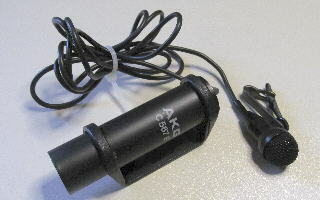 AKG's first true "Pencil" microphone with built-in matching transformer . Fitted with the CK1 Cardioid capsule. Complete with the AKG N61 power supply unit and associated lead. 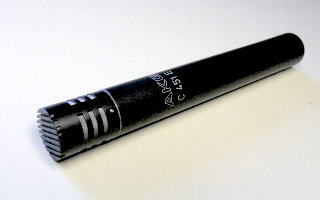 Part of the AKG "Blueline" series microphones. Consisting of the SE300B pre-amp, designed to work between 9v to 52v Phantom supplies. Complete with CK93 "Hyper Cardioid" and CK94 "Figure 8" capsules. 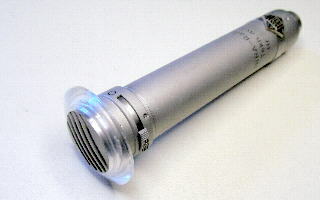 A useful A91 swivel adaptor is also provided. Combined Attenuator and Bass Roll-off switch on the pre-amp body. Fully tested and in very good condition (Slight scuff marks on pre-amp body). 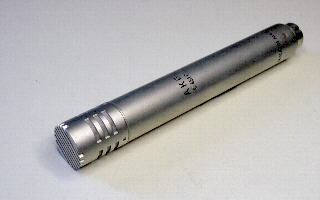 Part of the AKG "Blueline" series microphones. Consisting of the SE300B pre-amp, designed to work between 9v to 52v Phantom supplies, fitted with the CK94 "Figure 8" capsule. 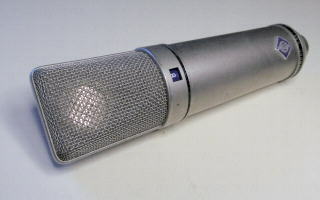 Part of the AKG "Blueline" series microphones. Consisting of the SE300B pre-amp, designed to work between 9v to 52v Phantom supplies, fitted with the CK95 "Cardioid" capsule. The CK95 is basically a CK91 in a windscreen and wire basket, giving excellent resistance to wind noise and popping. Supplied in AKG hard plastic case. This is excellent transducer for picking up the sound from an Acoustic Guitar or similar type of Instrument. 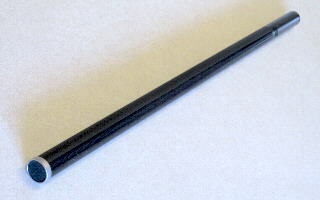 There is a slight "Melt" mark on the cable, but this is purely cosmetic, and does not effect the working of the Pick-up. 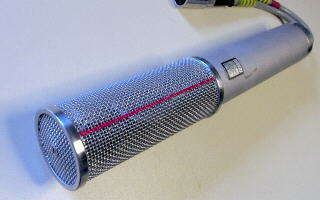 Fully tested and in good condition, complete with AKG plastic case. 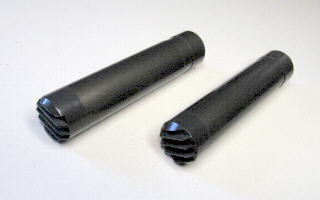 This pair of C414 E1 microphones have been completely re-built around new "Black" AKG replacement frames, with any damaged or faulty components being replaced as required. 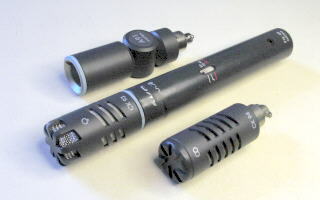 Both microphones are fitted with the high-spec' AKG 2072 Z 0009 Teflon capsule, as that used in the C414TLII and C12VR microphones. This capsule then feeding into the correct matching circuitry to emulate the sonic qualities of the original Brass CK12 capsule. 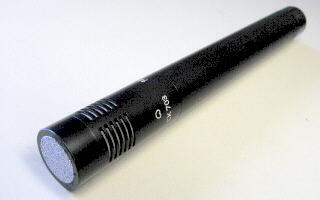 The Audio path of the C414E1 is electrically the same as the C414EB microphone, but the "Polar Pattern" is remotely controlled from the custom made Missing Link stereo remote control box. The C414 E1 ideal in location recording situations, especially when you need to fine tune the polar response whilst monitoring the audio signal. See rear grills and switches of both microphones. Complete Kit with Missing Link stereo remote control box and associated special interconnect leads (The 4-wire screened leads can be easily extended if required). All connectors on the rear of the control box. Own a piece of history ..... This microphone is unique ! I have re-built this ex-LWT (London Weekend Television) owned microphone, around a new "Black" AKG replacement frame, to work with a Transformer Less output-stage. The transformer-less output stage is of my own design, using the minimum amount of components, to help keep the purity of the audio signal. This is not a copy of the AKG TL version. 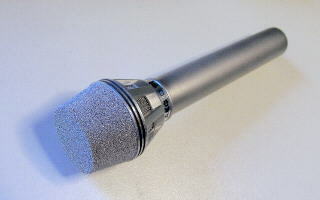 The microphone is fitted with the high specification AKG 2072 Z 0009 Teflon capsule, as that used in the C414TLII and C12VR microphones. This capsule then feeding into the correct matching circuitry to emulate the sonic qualities of the original Brass CK12 capsule. Therefore, with the above combination of "Custom" electronics and "High Specification" capsule, this microphone offers a clean and powerful response from the very low frequencies right through to the limits of audibility. All switch functions are of the standard C414EB and the switch's are all new. See pattern switch view. See rear view showing grill and switches. 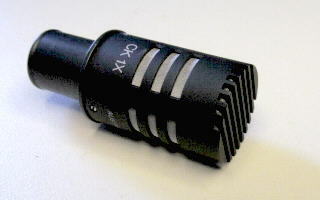 Fitted with standard 3-pin Cannon XLR socket. 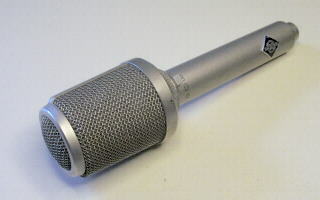 This C414B TL11 is fitted with the AKG 2072 Z 0009 Teflon capsule, as used in the AKG C12 VR microphone, giving the C414B TL11 it's fine sound qualities. Other than this, and a few component changes around the capsule, the C414B TL11 is electrically identical to the standard C414B TL. Cosmetically the C414B TL11 has a gold coloured front grill. Fully tested and in excellent condition. 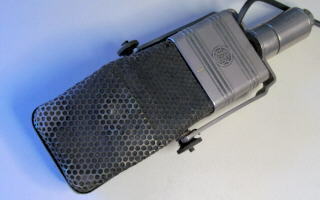 Supplied complete with stand mount & wind gag in original AKG hard plastic case. Much like having two C414EB microphones in one case. 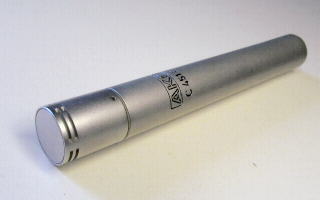 The C422 is a neat and tidy large capsule stereo microphone. The "Polar Patterns" are remotely controlled from the associated "Missing Link" remote control box (Front & Rear views). Absolutely superb for the purest Stereo XY or Middle & Side recording techniques. 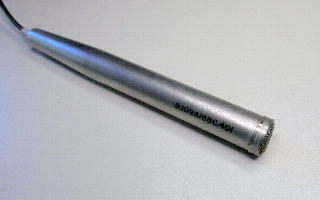 Modified base connector to the BBC specified larger 12-pin Tuchel type connector. Supplied in AKG plastic case. and offers excellent audio qualities thanks to the use of good but simple electronics. Therefore having minimal effect upon the audio signal and the ability of maintaining excellent audio fidelity. 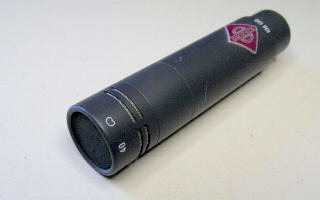 The unit is fitted with the ever popular CK1"Cardioid" capsule. An excellent microphone for recording. 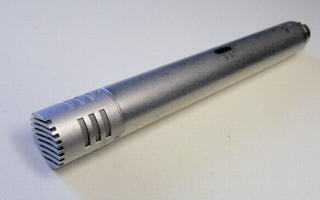 A pencil microphone fitted with standard 3-pin Din/Touchal type socket. 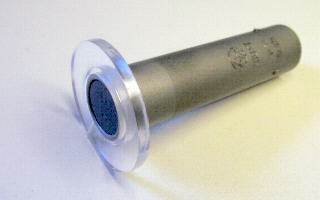 The unit is fitted with the ever popular CK2"Omni" capsule. 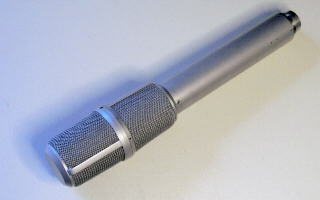 Part of the 1970's CMS range of sought after microphones. The C451 series Pre-amp, is designed to work between 9v to 52v Phantom supplies. This C451CB pre-amp, with built in Bass Roll-off switch & excellent audio qualities, is fitted with the ever popular CK1 "Cardioid" capsule. 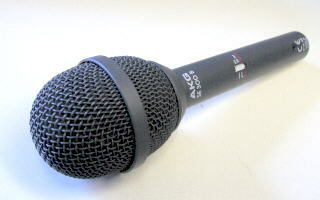 An excellent microphone for recording or high quality sound reinforcement. Fitted with standard 3-pin Din/Touchal type socket. 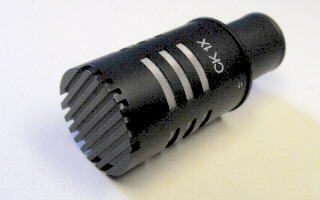 The unit is fitted with the ever popular CK1 "Cardioid" capsule. 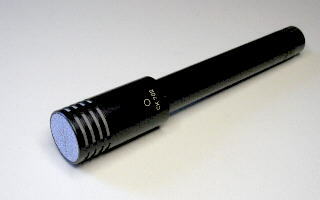 The unit is fitted with the ever popular CK2 "Omni" capsule. The unit is fitted with the very useful CK5 "Cardioid" capsule, that is basically a CK1 in a windscreen and wire basket, giving excellent resistance to wind noise and popping. Fully tested and in good condition, complete. Part of the 1970's CMS range of sought after microphones. The C451 series Pre-amp, is designed to work between 9v to 52v Phantom supplies. This C451EB pre-amp, with built in Bass Roll-off switch & excellent audio qualities, is fitted with the ever popular CK1 "Cardioid" capsule. Part of the 1970's CMS range of sought after microphones. The C452 series Pre-amp, is designed to work only with 48v Phantom supplies. The C452EB pre-amp, with built in Bass Roll-off switch & excellent audio qualities, is fitted with the ever popular CK1 "Cardioid" capsule. Electronically similar to the C414B-ULS. 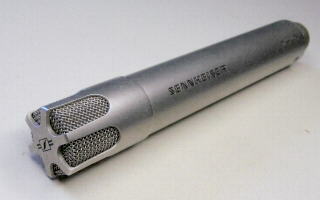 Designed to replace the popular C451/C452 series microphones. 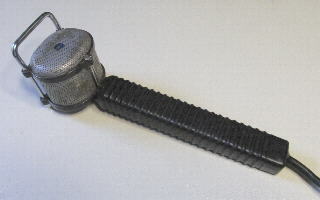 This example is fitted with the CK1 capsule via the capsule adaptor collar. Therefore compatible with the1970's range of CMS type capsules e.g. CK5. Great for inconspicuous use. The small capsule, with or without the use of the included swivel mount, can be located with minimal visual impact. Electronically similar to the C414B-ULS. Excellent sound quality and fully compatible with the CK60 series of ULS capsules. 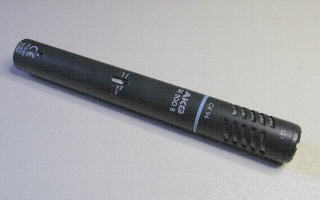 Electronically similar to the C414B-ULS. This example is fitted with the CK61-ULS "Cardiod" capsule. 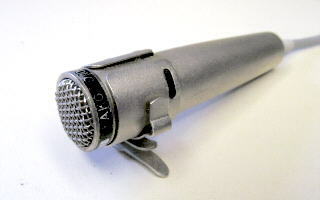 A Tie Clip type microphone, suitable for numerous applications in the television studio or for on-stage use. Complete with phantom power adaptor/balanced audio output driver. 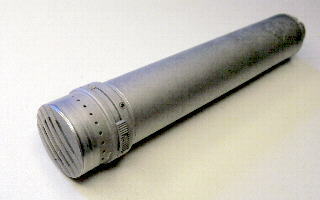 Basically a CK1 "Cardioid" capsule fitted with the Lemo connector for use with the C460B type body via the special extension lead. 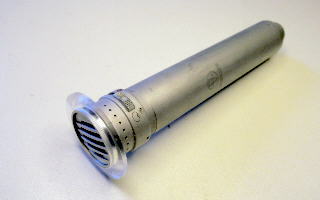 Basically a CK2 "Omni" capsule fitted with the Lemo connector for use with the C460B type body via the special extension lead. 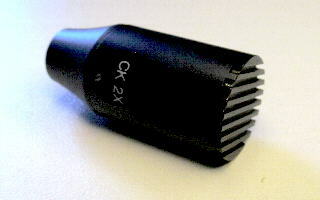 The CK8 "Hyper cardioid" capsule is excellent for stage or studio use. Intended for use with CMS range of pre-amps and C460 series via the capsule adaptor collar. Also suitable for use with valve type bodies such as the C28/C60/C61 models. 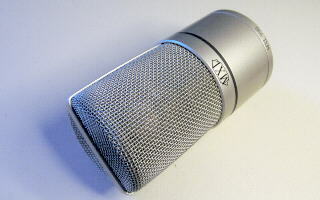 Works very well in conjunction with the AKG C28 on difficult to capture vocals, especially during live recordings. The CK9 "Shot-gun hyper cardioid" capsule is excellent for Film, Television or Stage use. Intended for use with CMS range of pre-amps. Also suitable for use with slender valve type bodies such as the C60/C61 models. "As seen on TV", as they say. Used by many television studio staff in the 60's, especially by the weather forecasters. 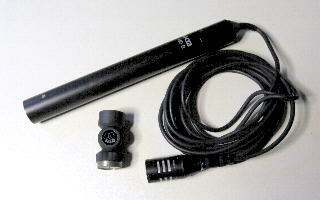 A fixed lead Omni directional dynamic "Lavalier" microphone, with a tailored frequency response to suite it's use i.e. capturing clear vocals with minimum handling noise. Fully tested and in average condition. "As seen on TV (or not)", as they say. Used by many television Outside Broadcast staff in the 60's, especially by reporters. 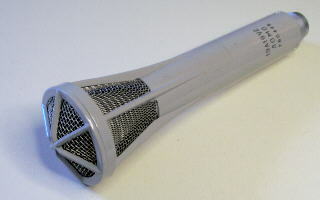 A fixed lead, miniature hand held, Omni directional dynamic microphone made to BBC specifications, with a tailored frequency response to suite it's use i.e. capturing clear vocals with minimum handling noise. 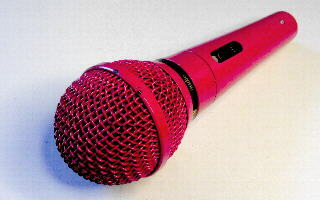 A very well known, popular, microphone with many uses, whether on stage or in the studio. Often used, with good reason, to record Toms on the Drum Kit. Using separate dynamic transducers for the High and Low sound registers. The respective audio signals being blended together in a frequency selective summing network. Giving a smooth 20Hz - 20KHz response. 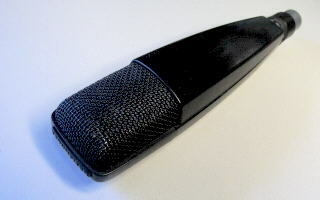 A Bass Roll-off switch is provided for added flexibility. Note that the D202E1 shows no proximity effect. Using separate dynamic transducers for the High and Low sound registers. The respective audio signals being blended together in a frequency selective summing network. Giving a smooth 20Hz - 18KHz response. A continuous Bass Roll-off control is provided for added flexibility. Note that the D202ES shows no proximity effect. 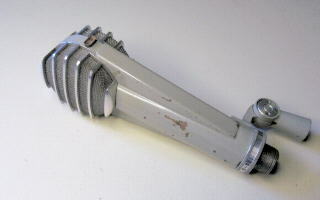 Imagine the wonderful array of artists who recorded at Decca studios using this microphone. 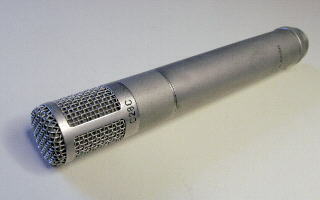 Like the D202 type microphones, the D224E uses separate dynamic transducers for the High and Low sound registers. The respective audio signals being blended together in a frequency selective summing network. Giving a smooth 20Hz - 20KHz response. 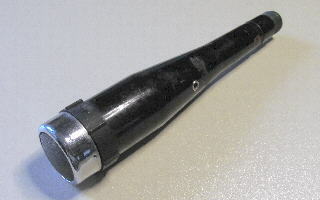 A Bass Roll-off switch is provided for added flexibility. The D224E shows no proximity effect. 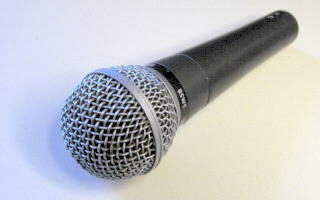 Note that the D224E uses higher quality capsule elements then the D202 type microphones, thus offering a much higher quality sound. Once used, never forgotten ! 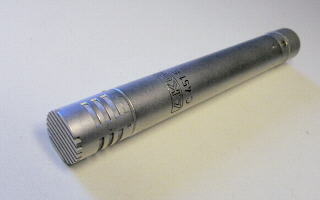 The D224E is fast becoming a difficult microphone to find in proper working order. Consisting of the SE5 pre-amp and the CE10 miniature electret Lavalier capsule. The SE5 pre-amp works on battery or 7.5 - 52v Phantom power. 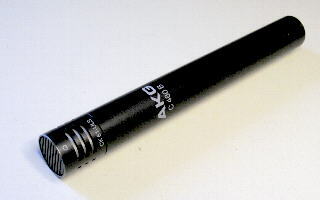 This is the first large capsule valve microphone manufactured by AKG since the end of production of the famous C12. 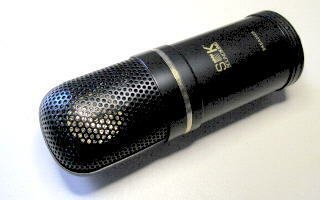 Not to be confused with the AKG "Solid Tube", that is a completely different, inferior, microphone to "The Tube" ! 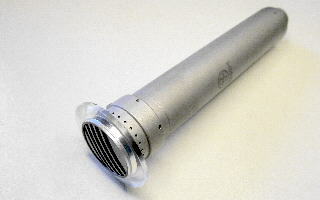 "The Tube" uses the original AKG 2072 Z 0005 Teflon capsule feeding into a 6072 valve impedance converter. Switchable single or two stage working via the associated attenuation/gain switch. The "Polar Pattern" is remotely controlled from the associated AKG "Tube" power supply unit. Fully tested and in very good condition. 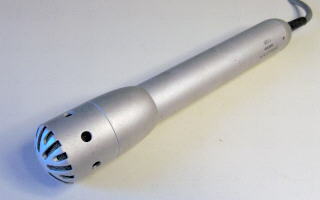 The microphone has a new powder coat finish. These are brand new & boxed, in sponge, with AKG information sheet. They come with separate second-hand fixing collar. 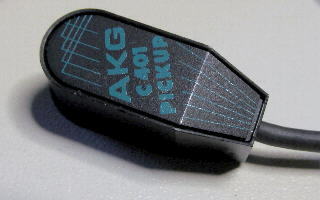 Small wind gag for AKG CK series capsules. The collar fits between the capsule and the pre-amp' body, the windscreen then pushes onto the capsule/collar combination. Often seen during the 1970's on the "Old Gray Whistle Test" fitted to CK28/C29a/C28 combinations and the "BBC News" fitted to CK1/C451EB combinations. Quite a few available, some without fixing collar, at a reduced price. 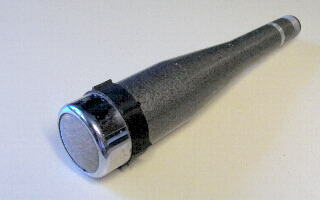 Large wind gag for AKG C28 series microphones, featuring a screw tight collar fixing. Often seen, for vocal use, on many of the 60's / 70's live studio recordings made by the BBC. What can I say, it's a good quality wind gag designed for use with the C28. In fair physical condition but looks messy and requires a lot of cleaning. In fair physical condition but requires a lot of cleaning. In fair physical condition, slightly out of shape, but requires cleaning. In very good physical & cosmetic condition. Classic looks, akin to the fins on an old motorcycle cylinder head. 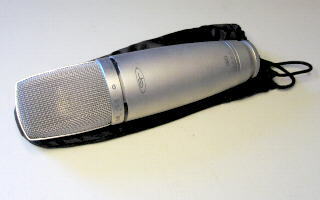 A lovely ribbon microphone. Supplied in American wooden box. 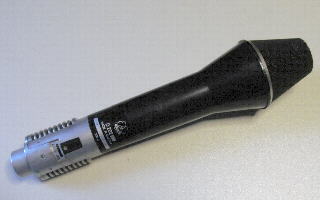 A General Purpose dynamic microphone. Built in On/Off switch. Ideal for stage use. Fully tested and in well used condition. 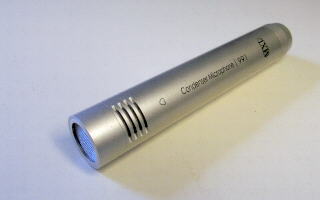 Budget +48v phantom powered Vocal / Instrument capacitor microphone. Switchable Omni / Cardioid / Figure 8 patterns with switchable Bass Roll-off. Ideal for Home Studio use. Supplied in Behringer hard plastic case. 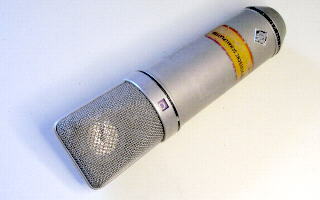 The Beyer CK708 "Figure 8" capsule is fairly uncommon, but has many uses in the recording studio environment. Being part of the Beyer MCM system. As used by many leading Sound Studios. This Beyer CV712 consists of the CV710 pre-amp, designed to work only with 48v Phantom supplies, fitted with the CK702 "Omni" directional capsule with built-in pop filter. Making it suitable for Handheld vocal use. All part of the Beyer MCM system. Bass "Roll-off" switch on pre-amp beneath capsule collar. 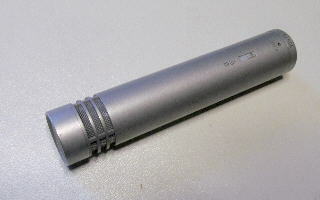 An excellent true capacitor type pencil microphone, despite the somewhat large capsule housing. As used by many leading Television and Sound Studios. This Beyer CV713 consists of the CV710 pre-amp, designed to work only with 48v Phantom supplies, fitted with the CK703 "Cardioid" capsule. All part of the Beyer MCM system. 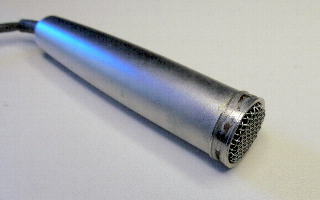 An excellent true capacitor type pencil microphone. 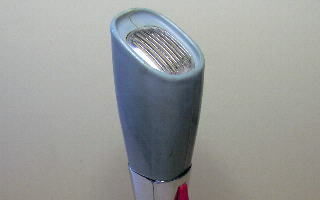 A British designed and manufactured microphone. The CB70d Pre-amp, designed to work at +7.5v by internal Button Cells, is fitted with a CC700 "Omni" capsule, utilizing a medium size diaphragm. The CB70d Pre-amp, designed to work at +7.5v by internal Button Cells, is fitted with a CC54 "Cardioid" capsule, utilizing a medium size diaphragm. 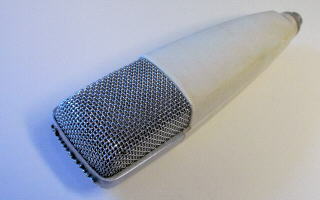 A British designed and manufactured microphone body. No capsule, just the body. The CB70d Pre-amp, designed to work at +7.5v by internal Button Cells. The CB1000 Pre-amp, designed to work only with + 48v Phantom supplies. Fully tested and in good condition for age. The CB1000 Pre-amp, designed to work only with + 48v Phantom supplies, is fitted with a CC1050 "Cardioid" capsule, utilizing a medium size diaphragm. 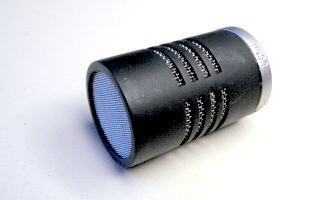 The CC01 in an "Omni" directional capsule with built-in pop filter. Making it suitable for Handheld vocal use. Designed to be used in conjunction with the CB20/CB21 series bodies. The CC03 in a "Cardioid" directional capsule. Making it suitable for many applications within the Television and Sound Recording industry. 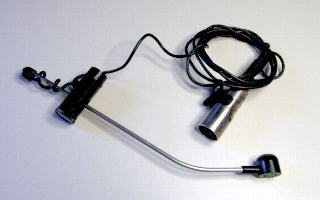 A high quality Omni directional specialist Test / Calibration Microphone, +9v to +24v Phantom powered, with balanced output. 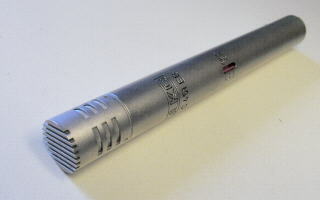 The CM15 is the same as the "Klark Teknik A.T.I", just a different label. Very high quality Talk-back microphone, for mixer / consol mounting. Known and used by many serious Tape Recorder enthusiasts from as far back as the late 60's. 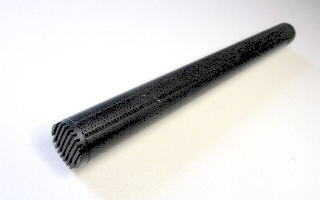 A "Omni" directional microphone of studio quality, with low self noise and excellent frequency response. Only available with an un-balanced audio output and a separate 48volt feed. Not a problem if you owned a Ferrograph tape recorder, having the infamous Auxiliary connector ! Supplied with Phantom power adaptor box, with balanced audio output. 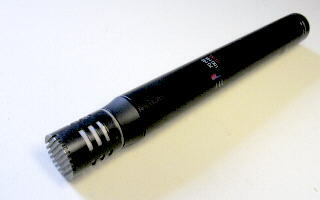 A "Cardioid" directional microphone of studio quality, with low self noise and excellent frequency response. Only available with an un-balanced audio output and a separate 48volt feed. Not a problem if you owned a Ferrograph tape recorder, having the infamous Auxiliary connector ! Swivel mount for Calrec / HS capsules. The K10 Fits in between the screw on CC** range of capsules and the CB** series bodies. Useful when trying to fit the microphone into confined spaces. 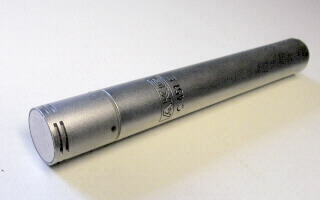 The FC1200 valve microphone is based around the 7586 Nuvistor type valve. Having a separate body and detachable "Cardioid" capsule. Now being quite rare to find in proper working condition. Supplied with lead and Missing Link replacement power supply unit. Complete with battery powered pre-amp/un-balanced audio output driver. Early large diaphragm "Dynamic" microphone. Used for general purpose PA / Stage work. Fully tested and in very good condition for age. Supplied in Grampian cardboard box. 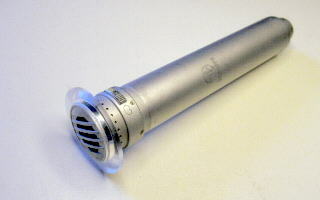 Dynamic microphone designed for general use e.g. Tape recording / PA use. Giving a 50Hz - 15KHz response. Low Z impedance at 30-50 ohm's. Medium Z impedance at 200-600 ohm's. Giving a 40Hz - 12KHz (+/- 5dB) response. High Z impedance at 50K ohm's. 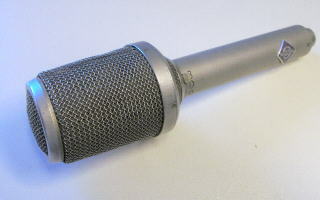 A valve microphone from the Groove Tubes stable that looks very similar to the old AKG C28. The AM40 is labeled and distributed by Alesis. Being a Hybrid design, using an FET low noise first stage amplifier, feeding into a wire ended 5840 valve stage, driving the output matching transformer. 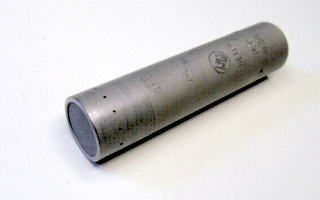 The fixed capsule is of medium size, operating in fixed Cardioid mode. Attenuator and Bass Roll-off switches are on the microphone body. Supplied with power supply unit and associated leads. 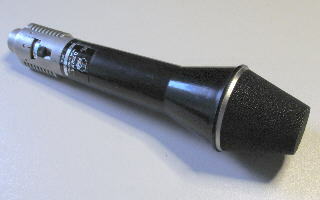 A valve microphone from the Groove Tubes stable. The AM61 is labeled and distributed by Alesis. Based around a "Selected" wire ended 5840 valve. Using a large 1" capsule, operating in fixed Cardioid mode. 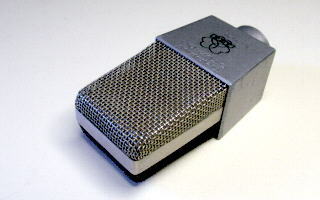 Fitted with Attenuator and Bass Roll-off switches on the microphone body. 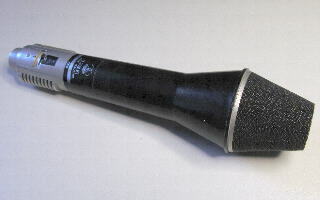 A valve microphone from the Groove Tubes stable. The AM62 is labeled and distributed by Alesis. Based around a "Selected" wire ended 5840 valve. 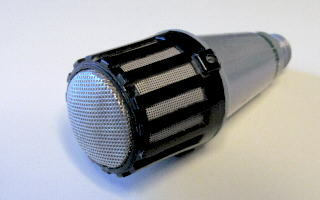 Using a large 1" capsule, operating in either Omni / Cardioid / Hyper Cardioid / Figure 8, selected via switches on the microphone body. Fitted with Attenuator and Bass Roll-off switches. An "Omni" directional stereo pair. Each microphone being designed around the 7586 Nuvistor, wired in Cathode follower mode. Flat from 50Hz to 200KHz with-in 0.2dB. Not a misprint ! There is no output transformer required in this method of operation, but the output is un-balanced and must use a short lead feeding into a fairly high impedance pre-amp input stage, to minimalism high frequency Roll-off. Overall response virtually flat from 20Hz to 20KHz. Complete with dedicated power supply unit that works with two microphones. Looking vaguely similar to a small Neumann M49 ..... well almost. 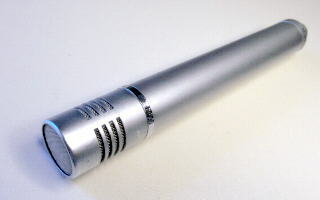 Fitted with a single sided "Cardioid" capsule, a high quality Pentode type valve and high quality output transformer, allowing this microphone to capture a very respectable sound. Supplied with Missing Link type power supply unit and associated leads. Fully tested and in fair condition for age. 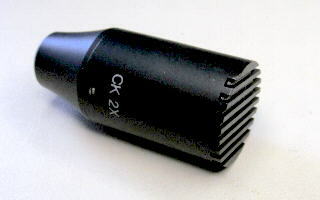 Large CK12 type capsule capacitor microphone. Cathode follower valve electronics, so the output matching transformer being located in the associated Missing Link type power supply unit. The capsule is smaller than that used in the standard 19 A-19, which is partly why the 19 A-19 Y2 sounds different. 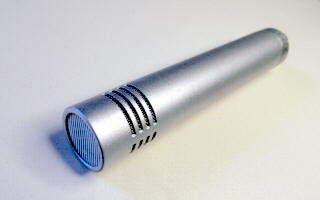 The 19 A-19 Y2 microphone uses a selected miniature wire ended Nuvistor, that gives this microphone a drier sound with a slightly tizzy top end. Together with the high quality built-in matching transformer, you have a very useful studio microphone, sounding somewhat different to a standard 19 A-19. An odd microphone. 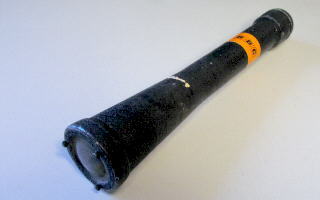 Used as a dynamic talkback unit. 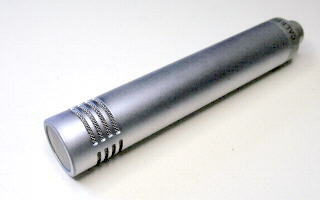 Studio capacitor microphone with built-in Bass Roll-off / Attenuator switch. 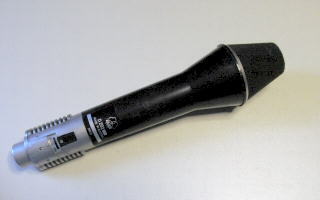 Designed for use as a reference standard calibration microphone. Based around a miniature EC760 wire ended triode type valve. Supplied with Missing Link power supply unit and associated leads. Supplied in original wooden box. Budget +48v phantom powered Vocal / Instrument capacitor microphone. 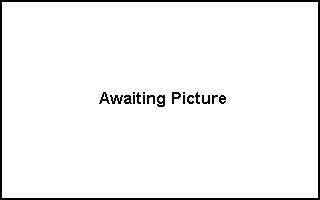 Supplied in MXL hard plastic case. 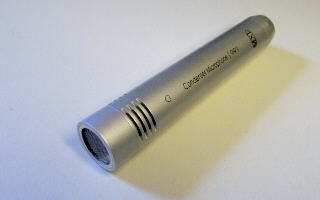 Budget +48v phantom powered Instrument capacitor microphone. 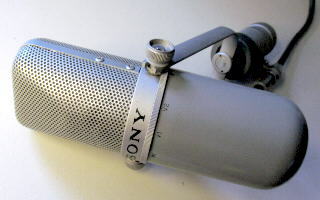 Based around the Telefunken AC701 wired ended valve. 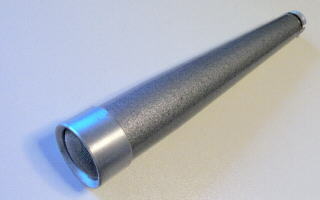 Fitted with a KK53 "Omni" capsule. 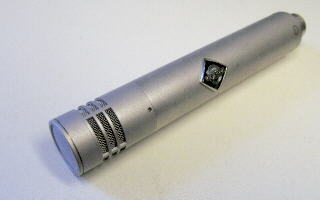 Complete with "Missing Link" built power supply unit, being a clone of the Neumann NKM, together with original Neumann lead fitted with stand mount microphone connector. 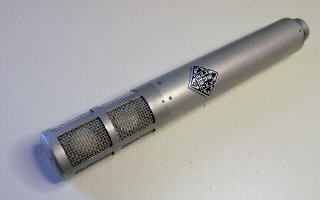 Based around the Telefunken AC701 wired ended valve. 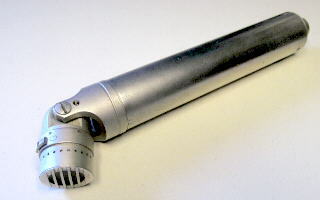 Fitted with an early type KK53 "Omni" capsule. Marked as KM53a but modified to KM53c circuit and specification. 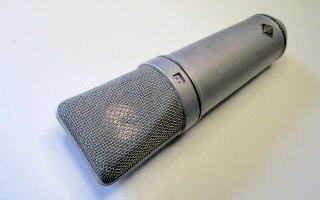 Complete with Neumann power supply unit and original Neumann lead fitted with stand mount microphone connector. Supplied in Neumann wooden box. 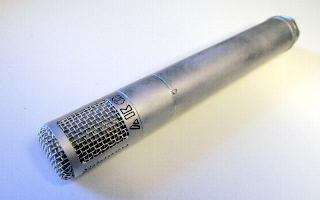 Based around the Telefunken AC701 wired ended valve. Fitted with a KK54 "Cardioid" capsule. Fitted with the KK76 capsule head, consisting of a back to back pair of KK74 type "Cardioid" capsules. Offering Omni / Cardioid / Figure 8, polar patterns, via the on board Patten switch. 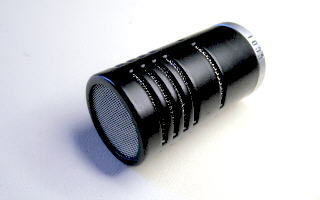 This type of capsule arrangement is capable of capturing excellent LF audio at great working distances. There is no output transformer in this design, therefore offering a very solid LF performance. Designed for 12v "T" powering. 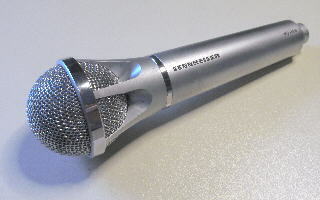 Supplied in Neumann hard plastic case. An old favorite by many sound engineers. The reliable KMi body is fitted with the KK85 "Cardioid" capsule with built in Bass Roll-off. Together, offering a faithful and full bodied sound. Fitted with the KK86 capsule head, consisting of a back to back pair of KK84 type "Cardioid" capsules. Offering Omni / Cardioid / Figure 8, polar patterns, via the on board Patten switch. Designed for 48v Single Leg powering i.e. Not Phantom powered. The output is Balanced as a standard KM86. Can be supplied, converted to 48v phantom powered if required, at no extra cost. 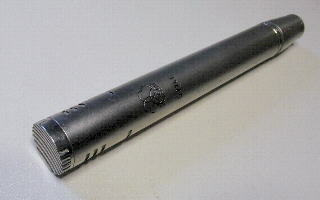 Consisting of the KM100 body, fitted with the KK40 "Cardioid" capsule. The KM140 has a transformer lees out-put stage, thus offering excellent LF performance. 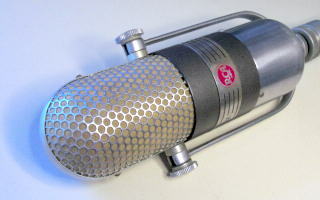 Based around the Telefunken AC701 wired ended valve. 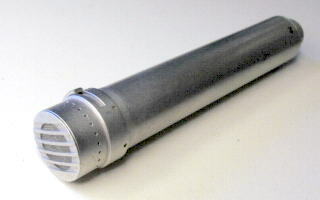 Fitted with an KK53 "Omni" capsule. 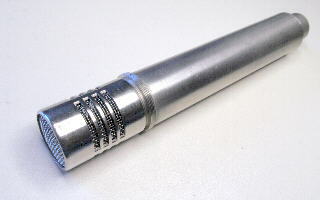 The KM253 is RF proof from capsule through to the large Tuchal connector. Complete with "Missing Link" built power supply unit, being a clone of the Neumann NKM, together with original Neumann lead fitted with RF proof Tuchal connector. 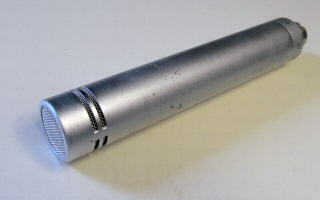 At sometime in it's past, this microphone had been modified to FET working. This work is often carried out by Decca studio engineers, but I am not sure about this microphone. Therefore, I have reverted the microphone back to correct AC701 working. Replacing any faulty components with high specification components as required. 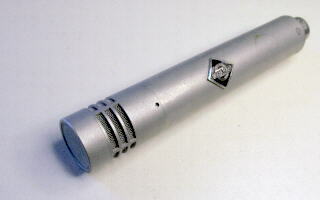 This M50c is now working to the original Neumann circuit and specification. Fitted with the early type Aluminum KK53 "Omni" directional capsule element, mounted in a Plexiglas Sphere. 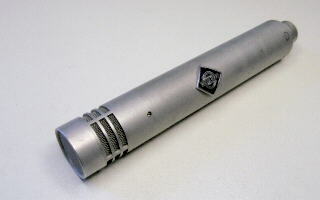 The microphone comes with the excellent Neumann N52t cartridge type "Slide In Unit" Power Supply, with multi-way plug and flying leads for ease of use. 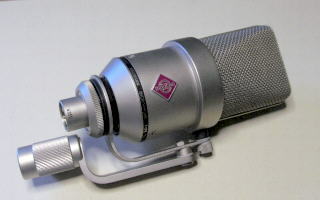 The associated microphone lead is fitted with an M50 "Stand mount" type socket. 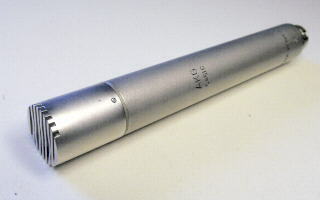 After the demise of the M49, the M69 became the top of the range large capsule microphone. 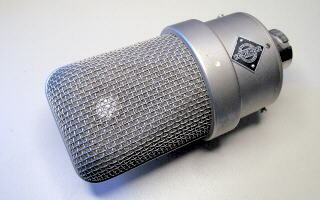 The M269 is a U67 with the low noise Telefunken AC701 valve. The Polar Patterns are remotely controlled, via the Power Supply Unit, unless switched to Cardioid on the microphone body. 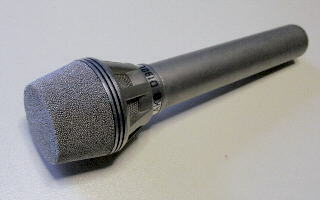 The M269 is electronically quite similar to the M49 microphone, however, the they sound quite different. Both being classic microphones. 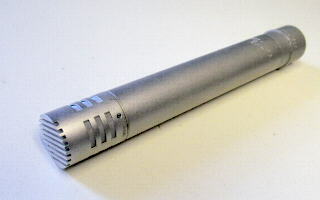 Together with a flat frequency response, a remote Polar Patten control, situated on the associated "Original" Neumann NN48 power supply unit and Neumann lead. The M269 has many excellent qualities, and therefore uses. Fully tested and in fair / good condition for age. This Stereo microphone is basically two KM56 microphones in one housing. Both sets of polar patterns being independently remotely controlled from the associated Neumann NSM power supply unit and associated stand mount lead. A personal favorite for M&S recording. Complete with CU48 control box and associated lead. Using FET 100 technology. The TLM 170 offers Omni / Wide Cardioid / Cardioid / Hyper Cardioid / Figure 8 polar patterns, together with on board Attenuation and Bass Roll-off switches. Using a medium size capsule, without the normal centre wire connection, feeding into IC type amplifier stages and having a transformer less out-put stage, thus offering excellent low noise and LF performance. Designed to work at 48v Phantom powering, but will work down to 24v with the same specifications.. Fully tested and in as new condition. Supplied in original polystyrene packing and cardboard box. Basically a KM64 less the AC701 valve. The U64 uses a "plug-in" 7586 Nuvistor valve, along with the KK64 capsule. 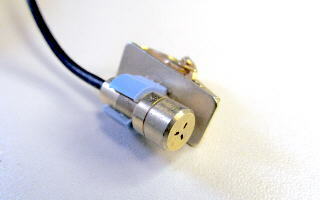 The unit features a built-in -10dB attenuation switch. 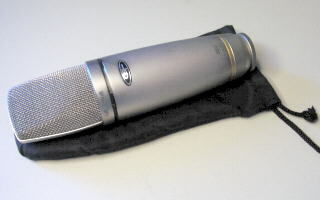 Valve microphone using a standard "Plug-in" EF86, or equivalent, type valve. 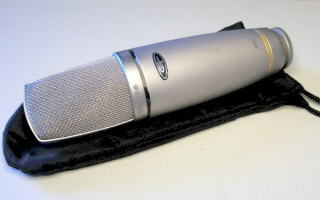 Often used to record vocals e.g. Cilla Black (Alfie), but equally useful for recording other sound sources e.g. Brass wind instruments. The U67 works very well when miking up Leslie Rotary speakers on electronic organs. Useful frequency response of 30Hz to 16KHz. Offering Omni / Cardioid / Figure 8, polar patterns, Attenuation and Bass Roll-off, via the on board switches. 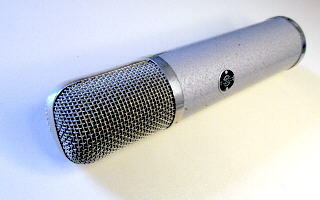 Complete with Neumann NU67 power supply unit and original Neumann lead fitted with stand mount microphone connector. This is a very Rare early example, with wide open mesh grill. Looking like a slender version of the U87 design. The U89 utilizes a medium size capsule, without the normal centre wire connection, feeding a discrete FET multi-transistor amplifier. Still using a traditional output matching transformer. Very low noise design with excellent overload characteristics. 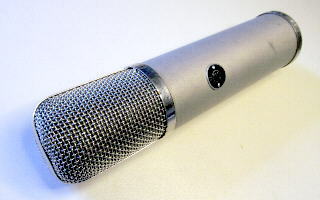 Designed to be used in situations that would have normally employed the M49 microphone. 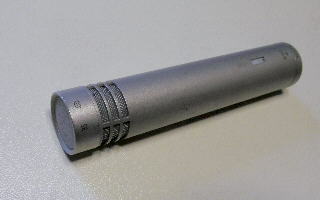 An excellent, large M7 capsule, Omni directional valve microphone, based around the EC92 single triode. Screw on capsule, with option of fitting other capsules when available. Complete with all leads and original Power Supply Unit. Supplied in Neumann Gefell wooden box. 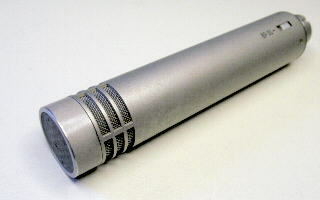 A design based around the original Neumann M7 type capsule (as used in the U47 & U48 microphones). With remote Polar Pattern control via the associated power supply unit. The valve, EC92 single triode, drives an output transformer of reasonable size. 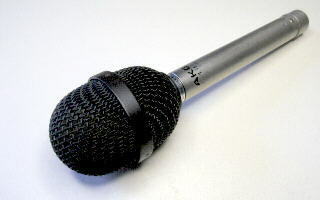 A very versatile, high quality microphone. 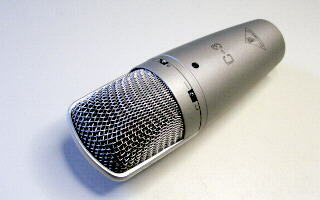 Seen as a cheaper option of the Neumann U47 & U48 microphones. Useful frequency response of 30Hz - 18KHz. 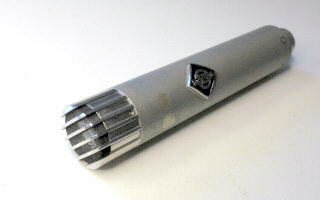 A microphone designed around the ECC70 double wire ended triode. Two matched, fixed Cardioid capsules (re-skinned) arranged at 90 degrees to each other, capture the Stereo sound stage or Instrument in question. I have used the OV362 to record Brass Bands with very satisfying results. 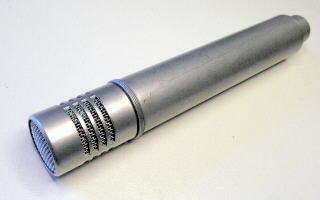 A microphone designed around the ECC70 double wire ended triode. 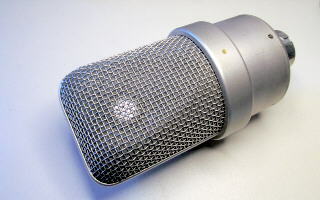 Two matched, fixed Cardioid capsules arranged at 90 degrees to each other, capture the Stereo sound stage or Instrument in question. 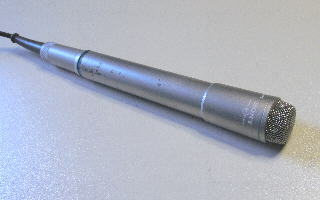 A very rare Omni directional valve microphone. Designed around the MSC2 valve, forerunner to the AC701. 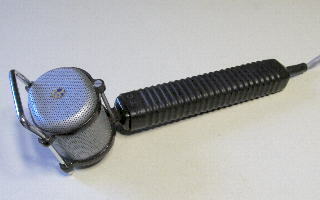 One of the first valve microphones used by the BBC in the Golden days of Radio. The output matching transformer is mounted in a special large adaptor plug that fits into a standard N48 type Power Supply Unit. Complete with all leads and matching PSU. Supplied in Hiller wooden box. 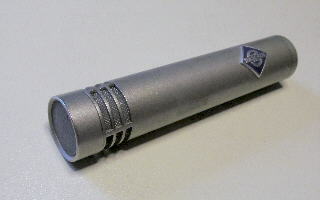 An excellent Budget true condenser type microphone, with a selection of Omni & Hyper Cardioid capsule types, with associated screw fit -10dB Attenuator. Supplied in Oktava hard plastic case. An excellent Budget true condenser type microphone, with a selection of Omni, Cardioid & Hyper Cardioid capsule types, with associated screw fit -10dB Attenuator. Complete with phantom powered pre-amp/balanced audio output driver. 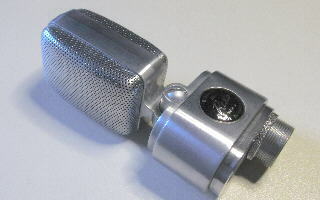 Valve microphone with changeable , screw on, capsule head. 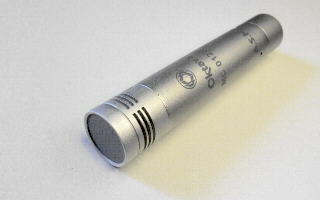 The capsule being very similar to that used on the Schoeps M221 series microphones, with adjustable Omni / Cardioid patterns. The electronics are based around the EC92 / 6AB4 single triode valve. Sounding much like a Schoeps M221 with a different valve. Complete with all leads and Missing Link type PSU. Supplied in Philips wooden box. 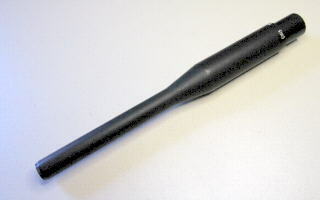 For those out there who remember "Z Cars", then this is the type of microphone used by the operator to call the police over the car radio. 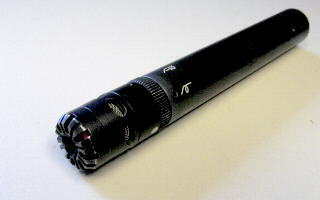 A Dynamic microphone used for PA or Radio Communication purposes. The 50's American recording/broadcasting studio classic e.g. as seen during Frank Sinatra recordings. 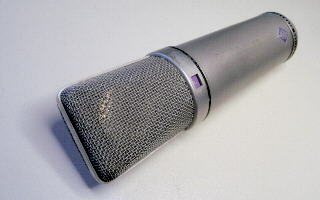 Often used as the main vocal microphone, but equally at home picking up other sound sources. Fully tested and in fair cosmetic condition for age. The 50's American recording/broadcasting studio classic e.g. as seen during Elvis Presley recordings. Fully tested and in fair / good condition. 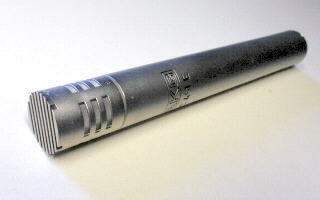 A workhorse of Ribbon microphones. Used by many bands on stage during the early 1960's, including The Beatles. Originally designed for vocal / instrumental use, this Cardioid microphone has many uses in the modern recording studio environment. Being a Cardioid designed ribbon microphone, there is a very slight response from the rear, much like that of a Hyper Cardioid microphone. Giving a smooth 40Hz - 16KHz response. Being -2 dB at 60Hz. & +10 dB at 16KHz. 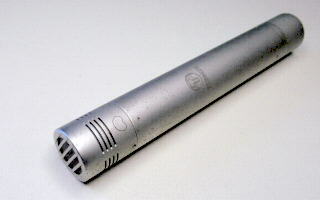 A Dynamic "Omni" microphone designed for on stage vocals. 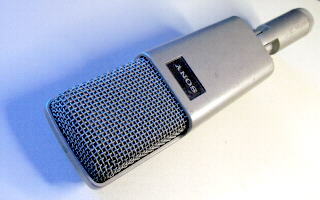 Ideal to capture that old 1960's Vocal sound in the modern recording studio. Giving a 50Hz - 15KHz (+/- 4dB) response. Being -4 dB at 100Hz. & +4 dB at 15KHz. Supplied in Reslo cardboard box complete with lead. A workhorse of Ribbon microphones. Used by many bands on stage during the early 1960's, including The Beatles. 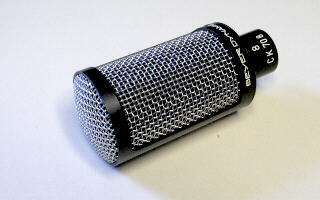 Originally designed for vocal / instrumental use, this Figure 8 microphone has many uses in the modern recording studio environment. Giving a smooth 50Hz - 14KHz (+/- 3dB) response. Supplied in wooden box complete with associated connector. Supplied in Reslo wooden box complete with associated connector. 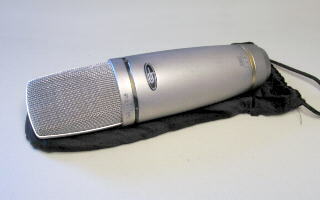 Professional studio Ribbon microphone. Offering a true Figure 8 response. Giving a smooth 30Hz - 20KHz (+/- 2dB) response. A solid, good quality, Talk-back microphone. Suitable for mixer / consol mounting. 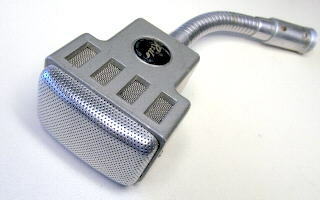 Especially designed for mounting two Reslo connector type microphones for stereo use. Ideal for use with a pair of SRI ribbon microphones, as shown elsewhere on this list. 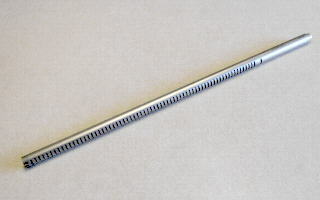 Fitted with standard mounting thread and flying leads to cannon XLR type connectors. A well made table stand with built-in connector and flying lead. 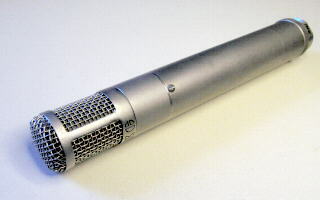 An excellent quality microphone, the CMT 34 pre-amp is fitted with the MK4 "Cardioid" capsule. Designed to operate at 12v on a "Phantom" type supply. A transformer less design and therefore has excellent LF properties. Supplied in Schoeps wooden box. 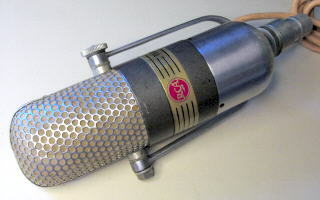 Rare, early design large body microphone, using 6AU6 valve. 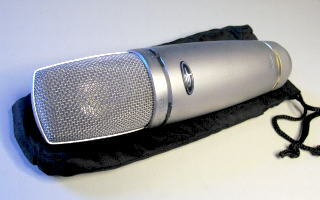 Fitted with plug-in small diaphragm fixed Cardioid pattern capsule. Using a larger output matching transformer than that of the M221 series microphones, therefore having a greater LF response/overload level. Complete with leads and original Schoeps power supply unit. Fully tested and in good condition for age (Some Pitting on the housing tube). 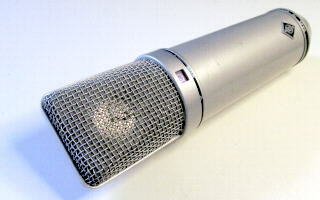 A classic valve microphone, based around the Telefunken AC701 type valve. Fitted with switchable Omni / Cardioid pattern small diaphragm capsule. Very quite electroinc's. 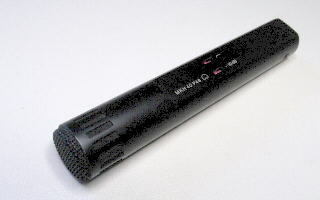 An ideal robust microphone, suitable for stage vocal or PA use. Also has uses in the recording studio. 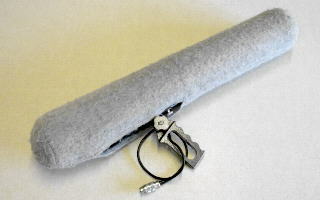 Supplied complete with lead in Padded leather case. 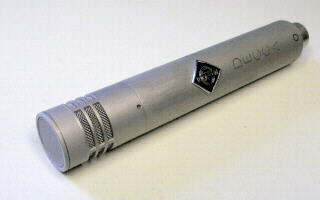 Following on from the famous MD 421-N, the MD 421-U Dynamic microphone is ideal for vocal or instrument use, both on stage and / or in the studio. 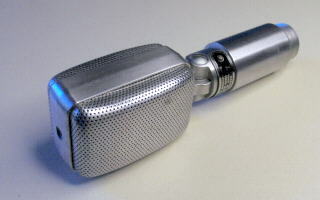 Early MD 421 Dynamic microphone. 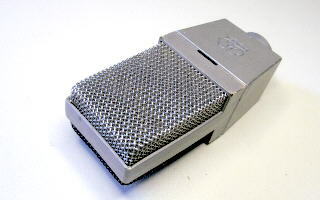 Ideal for vocal or instrument use, both on stage and / or in the studio. Fully tested and in cosmetically fair condition for age. 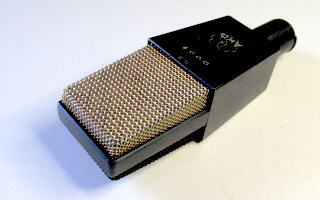 A Tie Clip type microphone, suitable for numerous applications in the television studio or for on-stage use. Working on the excellent RF principle, offering very low noise figures. Complete with 12v "T" powered pre-amp/balanced audio output driver. Supplied in Sennheiser wooden box. 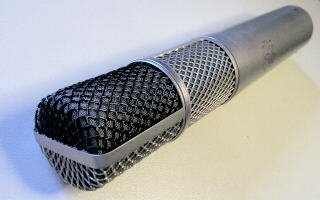 A wonderfully versatile Cardioid pattern capacitor type microphone. Working on the excellent RF principle, offering very low noise figures and superb neutral sound quality. 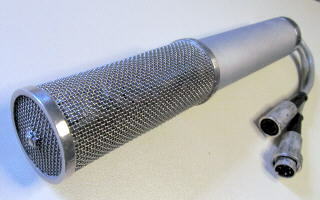 Multi-pattern capacitor type microphone. Working on the excellent RF principle, offering very low noise figures and superb neutral sound quality. 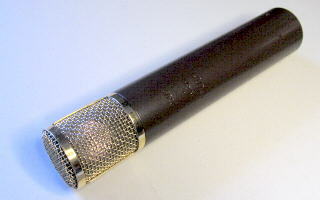 Early 19070's 12v "T" powered Cardioid microphone. Working on the excellent RF principle, offering very low noise figures. I've used this with excellent results, especially as a Drum overhead microphone. 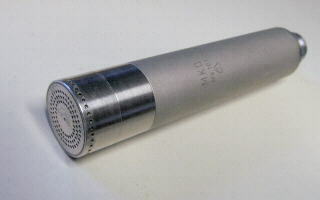 Hyper Cardioid capacitor type microphone. Working on the excellent RF principle, offering very low noise figures. 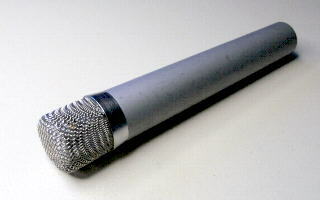 Super Cardioid capacitor type microphone. Working on the excellent RF principle, offering very low noise figures. 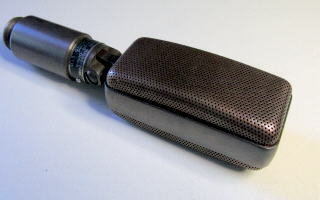 Early 19070's 12v "T" powered Hyper Cardioid (Riffle) microphone. Working on the excellent RF principle, offering very low noise figures. I've used this with excellent results on Theatrical stage recordings. 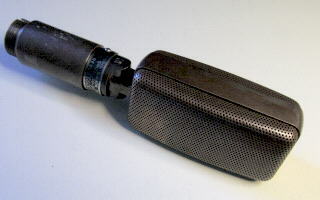 Early 19070's 12v "T" powered Hyper Cardioid (Riffle) microphone. Comes complete with the superb "Roycote" windscreen kit. Working on the excellent RF principle, offering very low noise figures. I've used this kit with some excellent results on wildlife location recordings, together with a Nagra 4.2 tape recorder. Seen many times on stage for Vocals. 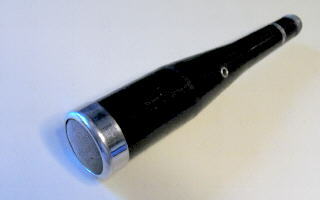 One of the original Dynamic microphones designed for vocal PA use. A very handy headset type Boom microphone. 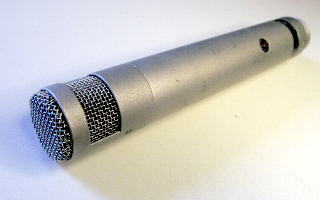 Supplied in Shure hard plastic case. Useful all round Dynamic microphone. 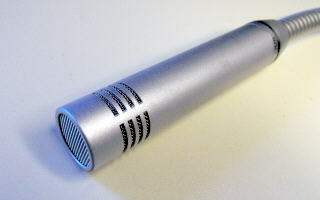 An all rounder +48v Phantom powered Electret type Cardioid capacitor microphone. 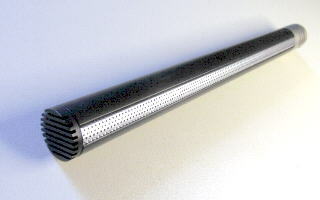 Switchable Roll-off and Attenuation. Many uses in the studio and on stage. 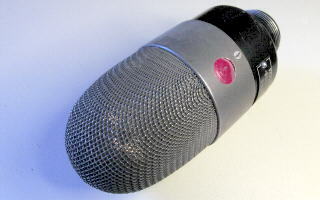 Studio Capacitor microphone. Hybrid FET / IC electronics. Mechanically adjustable polar Omni through to Cardioid with switchable Music / Vocal EQ & Attenuation. . Supplied in SONY wooden box. 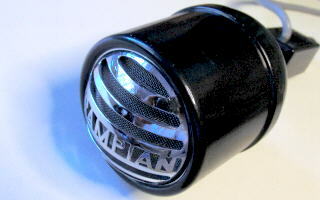 Studio Capacitor microphone. FET based electronics. Switchable Omni / Cardioid / Figure 8 polar patterns with switchable Music / Vocal EQ & Attenuation. Standard +48v phantom powered or built in battery operation for location use. Fully tested and in fair cosmetic condition. 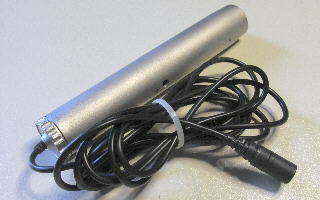 Battery powered Electret type microphone, suitable for News Reporting or similar use. Fully tested and in fair condition. 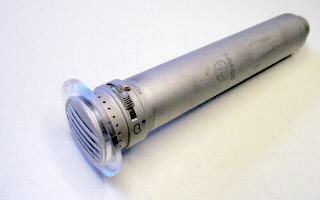 A Chinese valve microphone, with 1" diameter capsule and 12AX7 valve, driving a large matching transformer. The "Polar Pattern" is remotely controlled from the associated power supply unit. "Brand New", only taken out of the flight case for testing ! 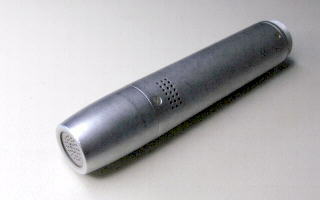 An Omni directional interview type microphone. Made famous by the Eamonn Andrews television show "This is your Life" from the late 50's. Designed with a built-in Bass Roll-off and a 7 KHz peak. Low Z impedance at 25 ohm's. Fully tested but in very rough condition. Designed by the BBC and manufactured by ST&C. The 4104 is used by many sports commentators around the world, including the BBC, IBA, CBS & ABC. This Ribbon microphone is in a field of it's own. Offering excellent noise canceling properties, partly due to the Bi-directional pick-up pattern. Giving at least 30dB rejection to background noise. Useful 60Hz - 12KHz response. Supplied in strong plastic case complete with lead. This Ribbon microphone is in a field of it's own. Offering excellent noise canceling properties, partly due to the Bi-directional pick-up pattern. Giving at least 30dB rejection to background noise. Fully tested and in fair / good cosmetic condition. 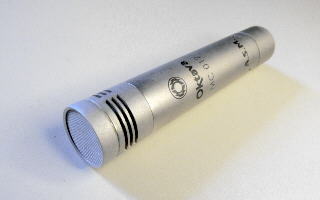 Rare, I've only ever seen a few of these microphones. 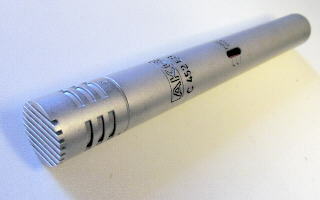 The 4108 valve microphone based around the Telefunken AC701 valve. Using a medium size "Cardioid" capsule, the 4108 is capable of giving some excellent results. Complete with Missing Link type power supply unit and the associated microphone lead. Supplied in ST&C wooden box. 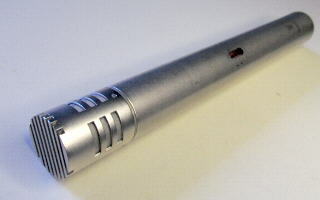 A rather smart looking, rare, semiconductor microphone. Using a medium size "Cardioid" capsule, the 4136 is capable of giving some excellent results. 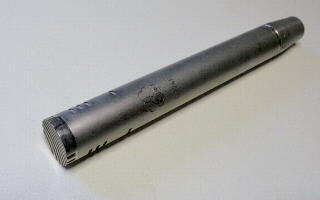 The polarizing voltage is derived directly from the 48v phantom supply and the electrical design is very simple, thus allowing the audio signal to pass through the microphone with the minimum of coloration. 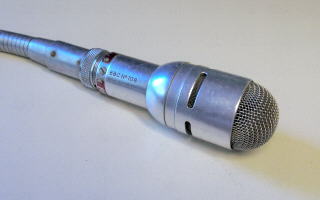 I have never seen one before and cannot find out anything about this microphone. The connector type makes me think that it could be a Sony model. 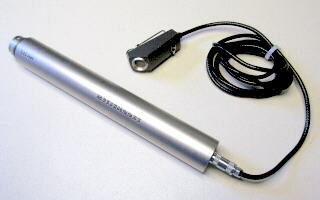 It is an Omni directional valve microphone, with cathode follower type out-put.